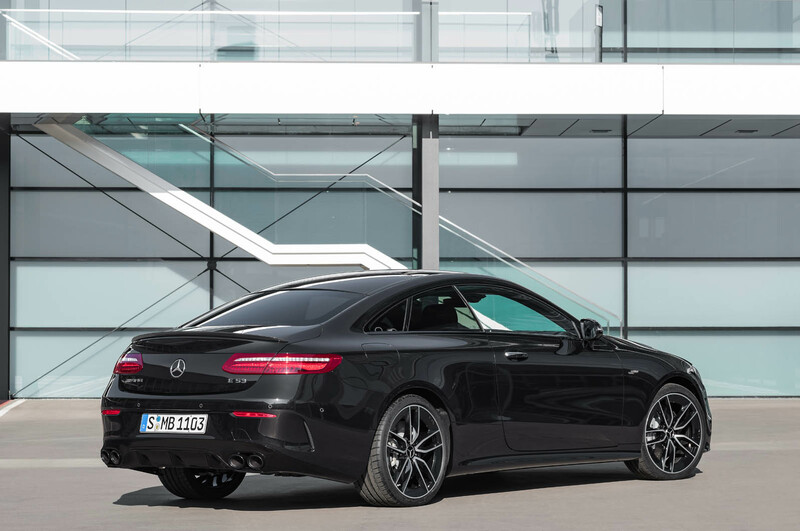 Mercedes-AMG has broadened its line-up with the addition of three new mild-hybrid models – the CLS53, E53 Coupé and E53 Cabriolet. Unveiled at the Detroit motor show, the trio of new AMG models will go on UK sale in autumn at prices expected to start at around £60,000 and extend to more than £70,000. 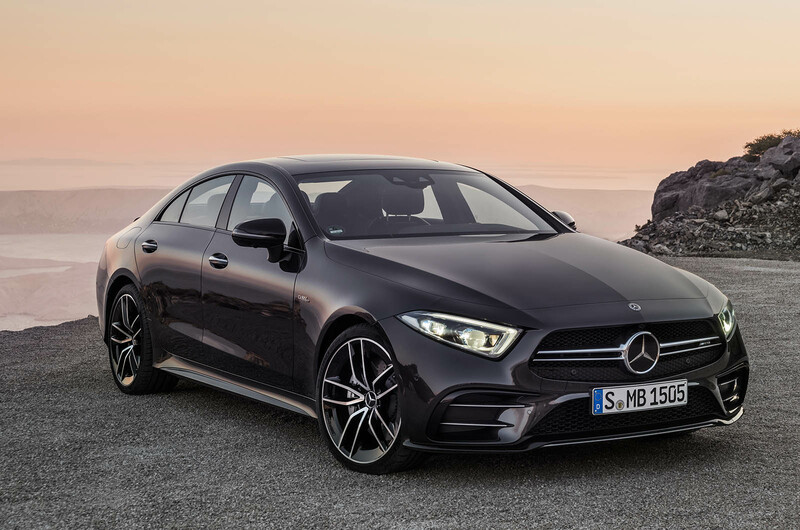 Power for the CLS53, E53 Coupé and E53 Cabriolet hails from a new 3.0-litre six- cylinder engine featuring twin turbocharging by means of an electric compressor and an exhaust gas turbocharger. The in-line unit, which already powers the facelifted S500, develops 429bhp at 6100rpm and 383lb ft of torque from 1800rpm to 5800rpm. An integrated starter/ alternator helps boost performance, delivering an additional 22bhp and 184lb ft of torque for brief periods while also providing electric energy for a 48V electric system. Can the Mercedes-AMG CLS 63 S provide sensationally entertaining, as well as civilised, executive transport? By comparison, the more conventional twin-turbo 3.0-litre V6 used by the E43 saloon, among other AMG models, delivers 395bhp and the same 383lb ft of torque. The new mild-hybrid engine, which is planned for use in other AMG models over time, is mated to a standard nine-speed AMG Speedshift automatic gearbox and fully variable 4Matic+ four-wheel drive system. In the 1895kg E53 Coupé, the new driveline provides 0-62mph acceleration in a claimed 4.4sec. The 1980kg E53 Cabriolet and 1905kg CLS53 are both claimed to have a 0-62mph time of 5.3sec. All three new AMG models run to a governed 155mph top speed. For reference, the existing E43 saloon has a claimed 0-62mph time of 4.7sec and the same 155mph top speed. 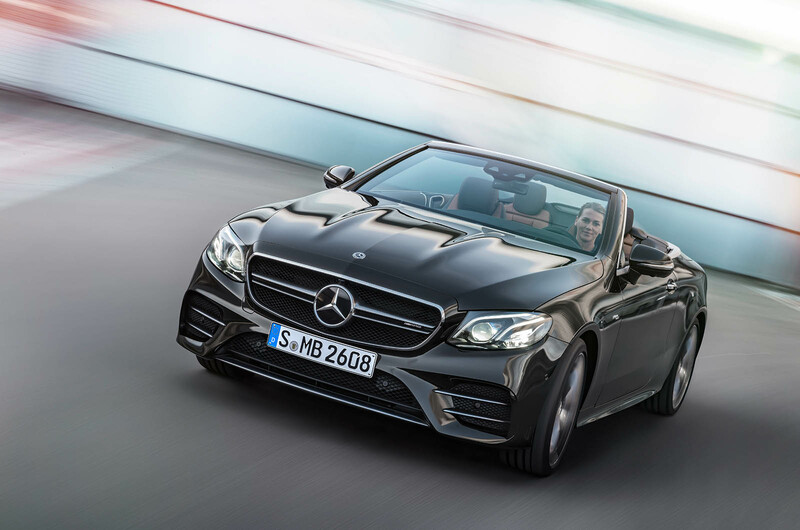 The three new 53-series AMG models are set to crown their individual line-ups, with Mercedes-AMG confirming that there are no plans for full-blown 63-series models in the E-Class Coupé, E-Class Cabriolet and new CLS ranges. 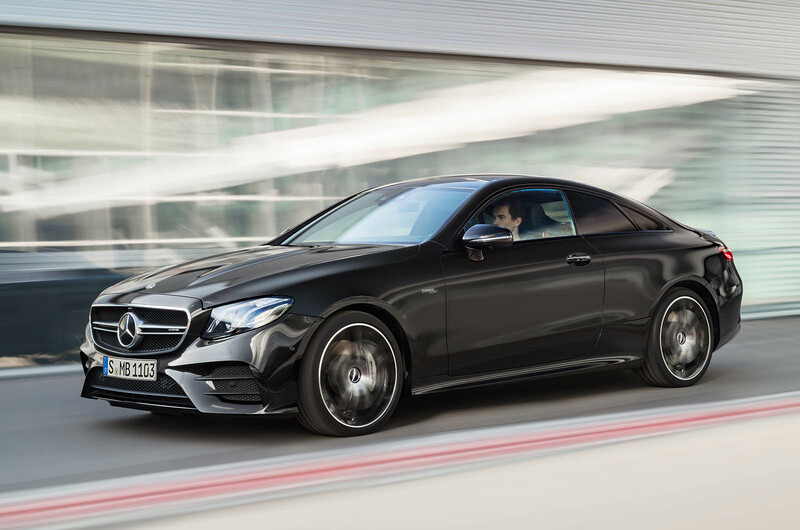 Differentiating the CLS53, E53 Coupé and E53 Cabriolet from their standard siblings is a series of traditional AMG design elements, including a twin-blade grille, uniquely styled bumpers, wider sills and signature AMG tailpipes. The new models come as standard on 19in wheels, with 20in rims available as an option. Inside, there is a new AMG performance steering wheel, among other unique interior styling touches. There are at least three creases on the bonnet, a prominent lower side crease on the doors and a more subtle one running along the flanks. What nonsense these people speak! Perhaps they are not creases but, long, narrow bulges? The front of small & medium sized Mercedes still looks far too tall. MB still can’t eliminate that odd pillar within the rear side window. It’s still a unfortunate distracting feature. Yes, it’s done to preserve the tradition of having an operable window for the rear occupants and to have a pillar-less B pillar, but it still ruins the clean lines when viewed from the side and looks best when the windows are deeply tinted on a lighter shade of body paint. I’d rather see a one-piece fixed side window for the rear. "First step towards a hybridised future". Hateful words, and a hateful step, particularly in relation to AMG, even if it isn't a real AMG. Aslong as they keep most of the AMG range hybrid in the future, retaining the loud exciting engines, I really dont care if the rest of the normal Mercedes line is all electric. It's is the only way we can keep those cars exciting, unfortunately they have to be hybrid in the least. There are hybrids and there are hybrids, they come in many shapes and sizes and they don't have to be excessively heavy, or coupled with CVT transmissions (excellent though Toyota's interpretation may be). Hybridisation is just a way of recovering and utilizing a bit of kinetic energy that would otherwise be wasted, and bolstering engine torque much like a turbocharger does - and what's wrong with that? Regarding this particular one, I can appreciate that the power increase is negligible but a bit of extra torque and low speed fuel economy will do no harm. But I would like to know what the battery capacity is - if only to confirm this car's true status as a "mild hybrid". I think you are right and the battery-only range will be in single digits and at walking pace only! But there is something appealing about the concept of ‘mild hybrid’. ICE cars suffer huge energy losses, with 40% efficiency about as good as it gets. Recovering this energy and making use of it makes sense. 62 mph in 5.3 seconds!? 4.3 seconds more likely. Very heavy and slow, RS5 with its 450HP runs 3.6 to 60,admittedly smaller and much lighter [1515kg] RS3 does 3.5.Very disappointing, I was expecting much better, as I love the lines of them and the room and pillarlessness of the coupe.